Brookend, Ross-on-Wye, is now more commonly known as Five Ways because Overross Street, Greytree Road, Brookend Street, Millpond Street and Brampton Street all join there and used to mark the boundary of the town until the 1830 when the limits were redrawn. The junction was originally a massive junction where the five roads met and was the site of numerous accidents. 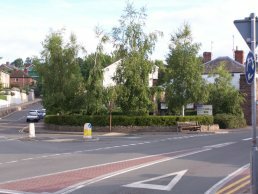 So in 1996 plans were drawn up to change the area to use the double roundabout paln that is in place today. Personally I think it is still a problematic area but it is definitely better than it was originally and there was a lower traffic density then too, so it would have been even worse now had the changes not been made. These are some pictures of other interesting items at Brookend other than the Five Ways Enhancement Railway display. 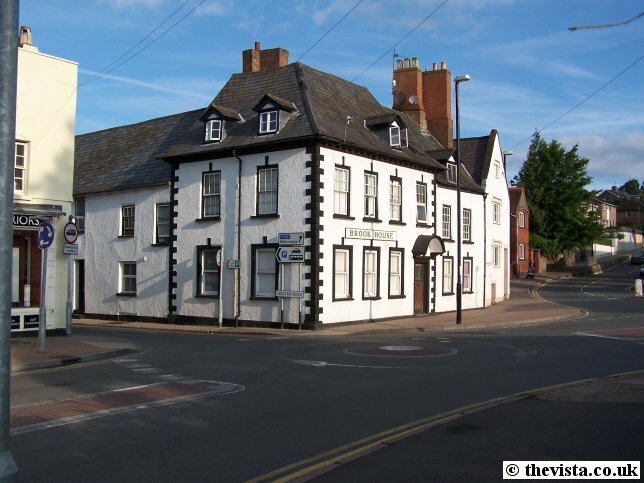 The major buildings in this area (like the old Railway Inn and Brookend House) have hardly changed in their appearance in the last 150 years. The pump may also have been found and bought at an Internet auction site. Ross has had several mills since around 1086 and the mill at Brookend was probably the first and recorded as being there in 1277. 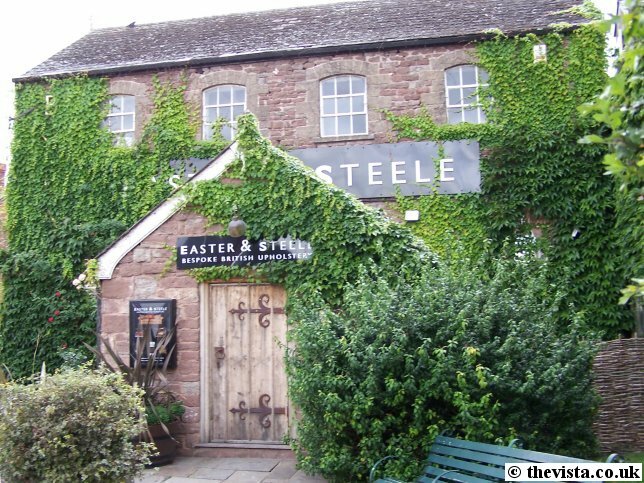 This is possibly the site of the Town Mill that is referred to in the Doomsday Book and as there has been a mill on the site since the Saxon period. 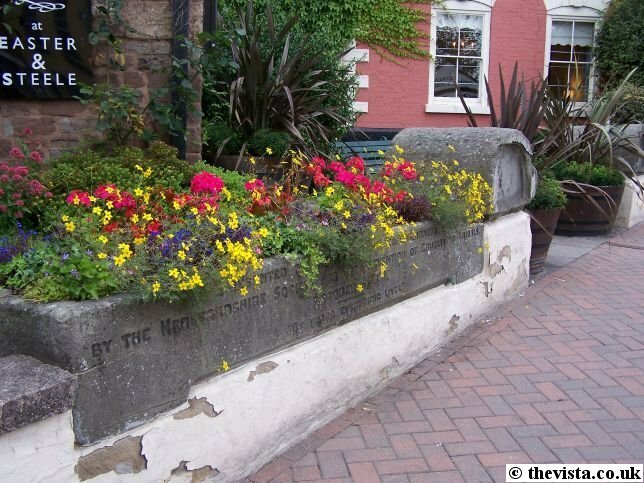 The Brookend Mill was known as the "Town Mill" and, as mills used to be known "by the number of mill stones", it was also known commonly as "Two Mills" or sometimes "Three Mills". 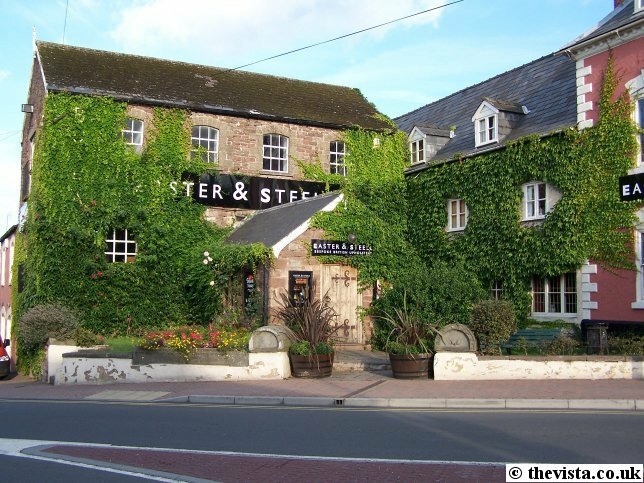 There were two "grist mills", used to grind grain into flour, hence the name "Two Mills", and a "fulling mill", used to felt fibers of woolen cloth using moisture, heat, friction, and pressure, which resulted in it sometimes being called "Three Mills". The present Mill building was built in 1893 and the brook was used to provide its power right up until the 1950's. Flour production ceased in 1947, after a fire, but it continued to mill animal feed until the 1980's. 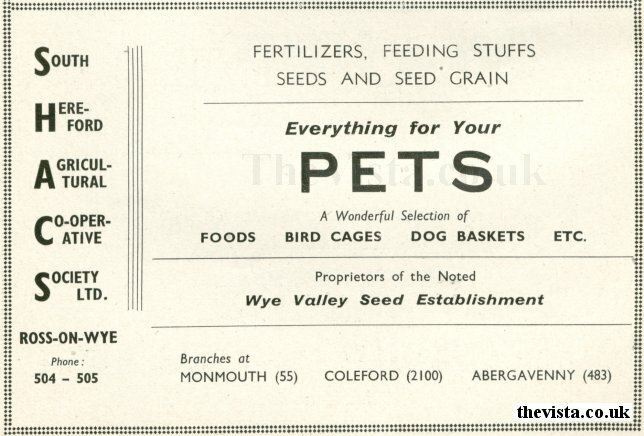 Animal feed was milled on the site by SHACS (South Hereford Agricultural Co-operative Society Ltd) until the mid 1980's when the site was redeveloped. It has been converted into a mixture of housing and a business premises and recently was "Bylaw The Furniture Makers" and now it's "Easter & Steele". 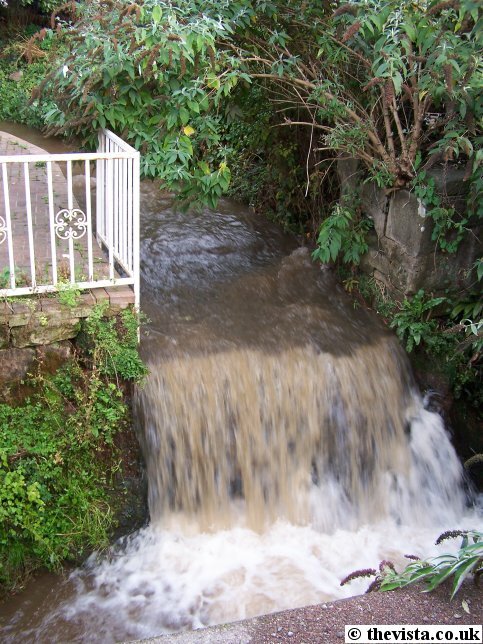 This is the weir for Two Mills on the opposite side of Five Ways from the Mill. It was altered in 1962 after it fell into dis-repair. This car park now covers the site of the mill pond that used to feed Two Mills at Brookend (Five Ways). Parts of the building date from the 17th century. Within the last 150 years, this building used to be the Railway Inn but was part of Easter & Steel in 2004 but has since fallen into disuse. 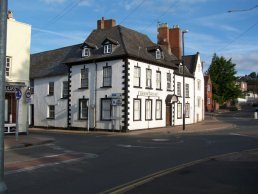 Prior to being the Railway Inn it was called the Railway Tavern. 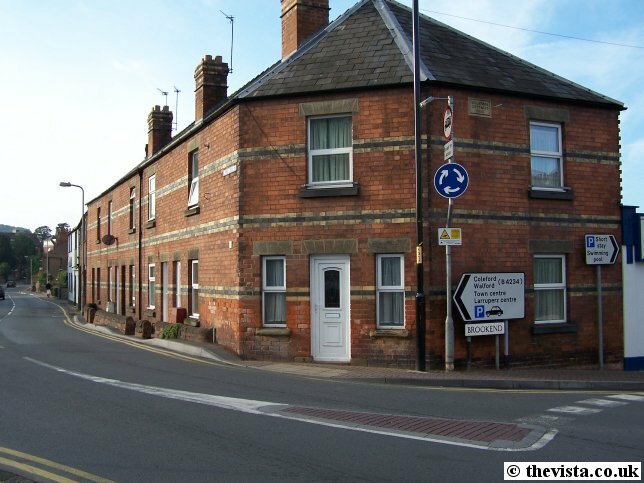 By 1934 the Railway Inn had become the Railway Hotel. 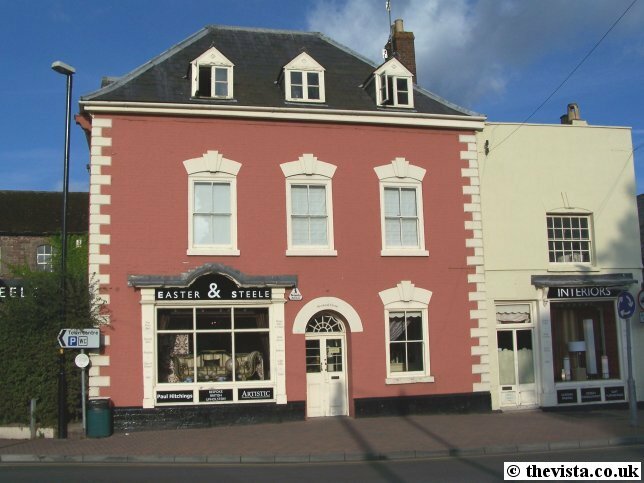 At this time it was owned by Mr. Jack Harrison and Mrs. Mary Harrison who owned it until 1948 and it closed sometime in the late 1960's when it was sold. 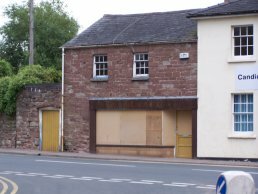 Soon after this it was converted into shops with accomodation above. Prior to coming to Ross the Harrisons lived in St. Ives, Cornwall to which they returned after they left the Hotel1. Jack Harrison used to carry out magic tricks at parties and was a talented musician. He used his musical skills to provide accompaniment to the silent movies shown at the Kyrle Picture Palace. During WWII Mary organised a large number of dances and catered for weddings. At weekends 10 or 12 bus loads would come to Ross from Birmingham and Wales and their daughter Jeanne also provided additional assistance. 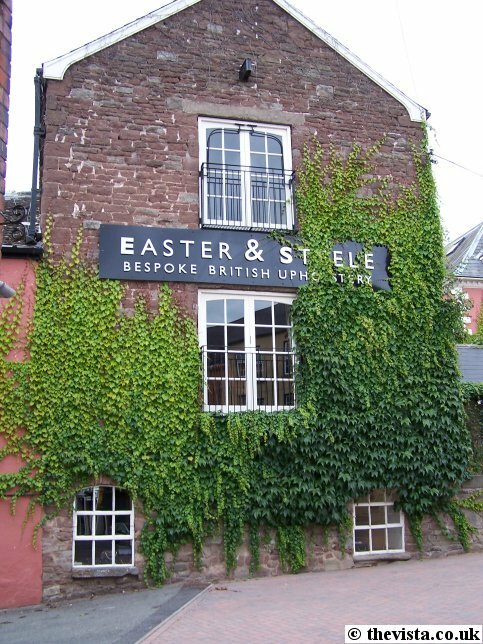 This building dates to the 17th century. 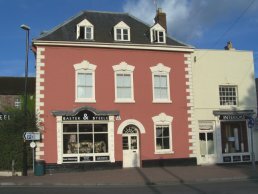 In 1851, Samuel Kell, a Iron and Brass Founder and Machine maker lived here and he had workshops in Millpond Street (now redeveloped). 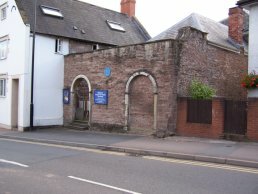 The first Quakers came to Ross-on-Wye in 1655. Thomas Goodaire and George Scaife travelled down from the North on foot bringing their message to the small community of Friends of Truth which had been formed in Ross three years earlier. For the next 20 years, meetings took place in the home of James Merrick, a local tanner. 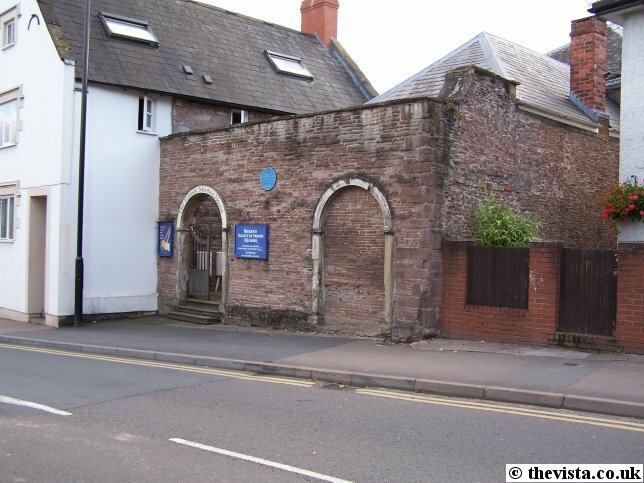 In 1668, the Friends Meeting House and Burial Ground was founded and this was done using land and materials given by James Merrick. Taken from the booklet "Quakers in Ross". 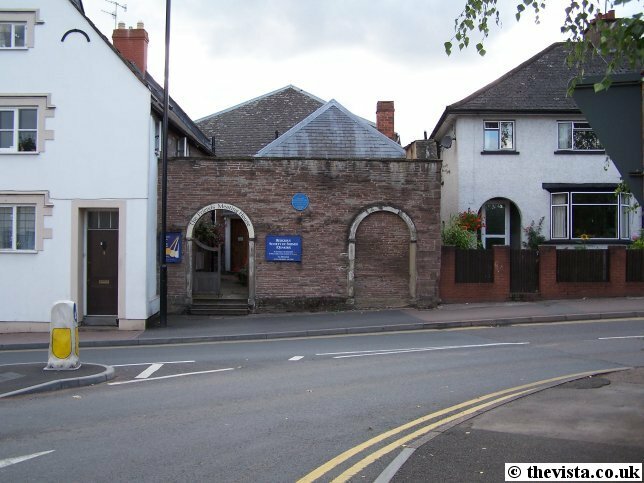 Nathaniel Morgan (1775) opened the Ross and Archenfield Bank and he sponsored road improvements between Ross and Hereford and was instrumental in provision of a town clock, street lighting and a fire engine. Elizabeth Trusted opened a school for infant children. Henry Southall (1827-1916) among other things, compiled meticulous meteorological record and as a result, Ross remains today a national centre for weather recording. The red brick building on the right, which is at the bottom of Brampton Street next to the Friends Meeting House, used to be a Police Station. 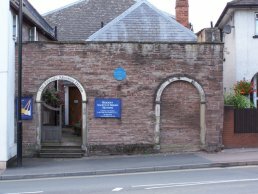 It was used as the main Police Station between 1844, when it was built, and 1935, when the Old Rectory on Church Street was also converted into a station. 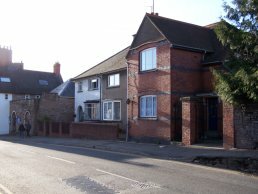 This building, on Brampton Street, continued to be used as a station until at least 1951. 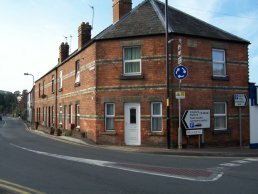 The two houses to the left were built at the same time as the station and were the police houses used by the constables. 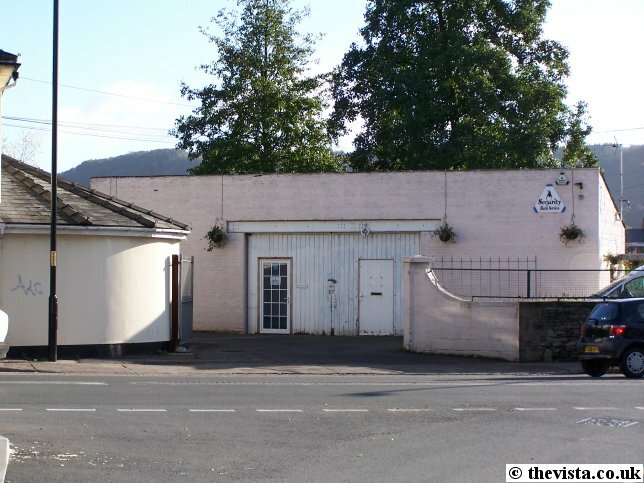 This small building used to be one of two shops used by Wye Electrics in Ross. It used to be Mrs Harris Grocery Shop in around 1955. 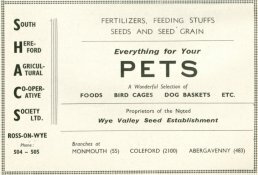 "From what I remember they were wholesalers and retailers of fruit and vegetables, we used to take rabbit skins and blackberries for a few pennies. When the place closed they had a fruit and vegetable shop in Bridge Street in Hereford, this must have been in the 60's." he carried on to say that sometime after this the site became Winnals Dairy and some of the family still live in the Ross area. The site of the Fiveways Enhancement was originally the Brookend Post Office. The shop was reputed to have sold practically everything including bread and cakes cooked in the basement bake house. This burnt down in the 20th century and in 1995 the area was redeveloped to make this display area. Millbrook Cottages built 1882. 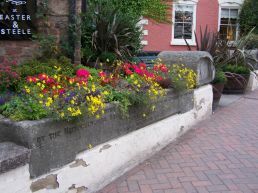 These run along Millpond Street from where it meets Five Ways.